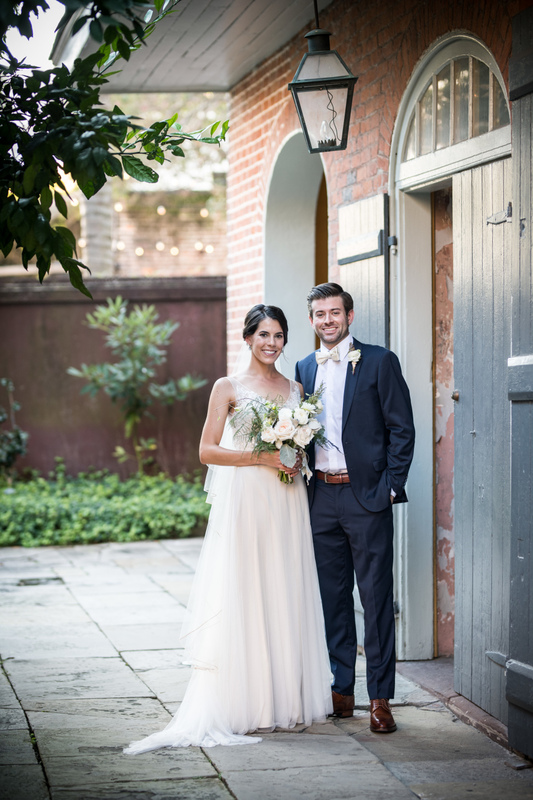 Bow ties were a must for Drew and Alexandra's formal New Orleans wedding. 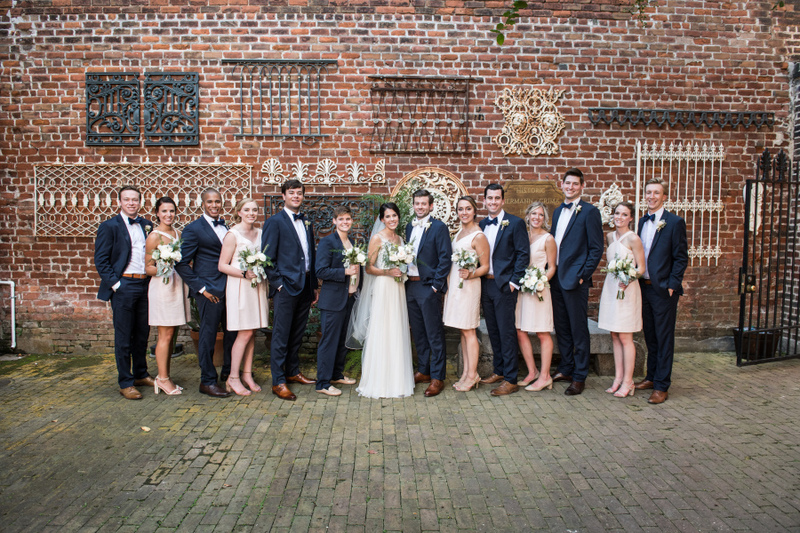 The guys looked stunning parading down the street in their navy blue suits, formal white shirts and bow ties. 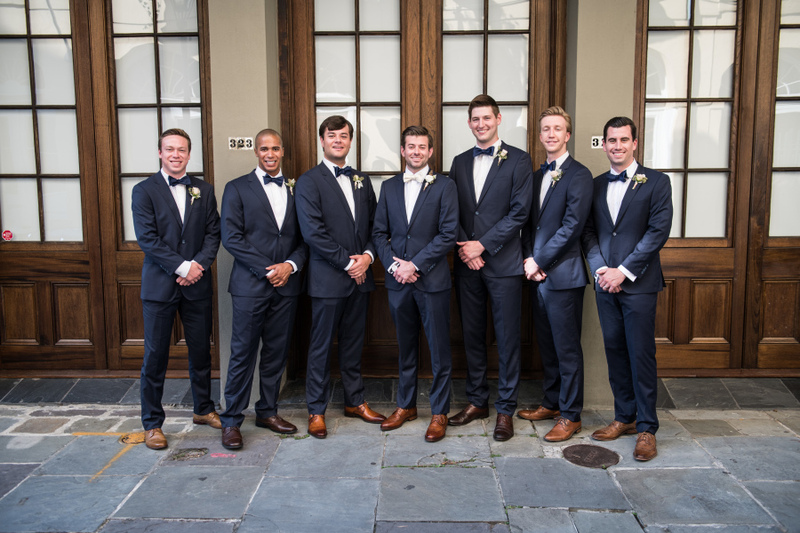 Drew wore a white bow tie to match his bride and the guys wore navy blue bow ties for a monochromatic look. Got absolutely ripped off by another company and The Groomsman Suit came through in the clutch. Should have gone with them first! Amazing service and suits.